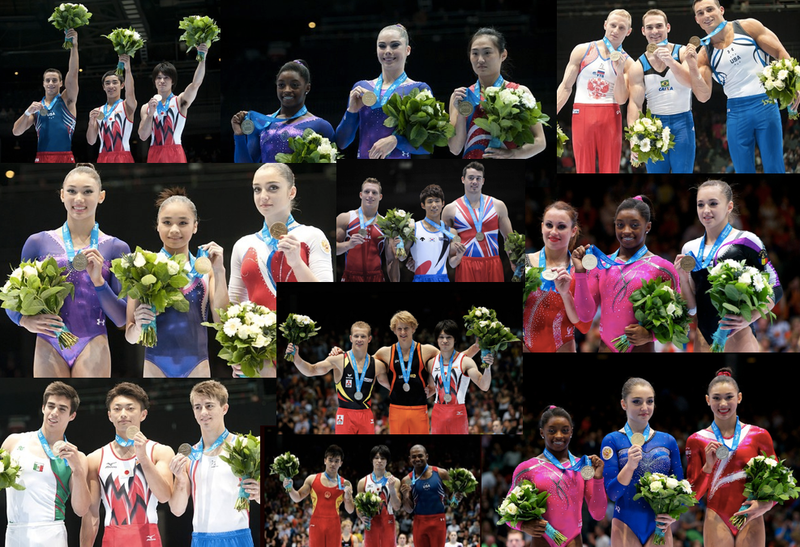 The 2013 Gymnastics Event World Champions. Blythe, Bea, Michelle and Emma direct from Antwerp; the super-fans and journalists recap event finals: McKayla Maroney on her triple yurchenko, what Aly Raisman said about the pressure McKayla has been facing, what Larissa Ilordache said after the beam final, full details on the beam final controversy, Carlotta Ferlito‘s rant about inquiries, our dream choreographer for Floor World Champion Simone Biles, Epke Zonderland and his huge difficulty on high bar, heartbreak for Becky Downie on bars, and Peggy-Gate and the bathroom situation at the venue. Don’t worry, next week we will discuss Ferlito’s interview on October 4th after All-Around finals about dyeing her skin black in order to win (0:56) > CARLOTTA 11 E LODE. 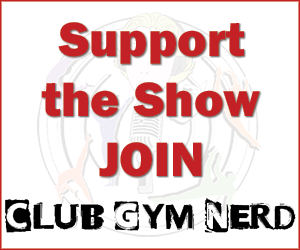 Follow Blythe on Twitter @GymExaminer, Facebook and at Gymnastics Examiner. CBC Broadcast Sports Saturday with Kyle Shewfelt and Lori Strong on October 19th. NBC Broadcast will be October 12th and 13th. King Kohei as our favorite Duck Tales character by Spanny Tampson and Team Orozco. Do we know what the enquiries from Kyla and Simone were for and why they were given? Simone’s was for her start value. I’m not sure about Kyla’s. You can only file an inquiry in regards to the routines difficulty score. They don’t accept inquiries about execution scores. Yeah I know that, I was just wondering if anyone knew what kind of connection they wanted to be credited. Well I was replying to the person who replied to you. If I had to guess specifically I would say Kyla’s walkover+sheep jump, and Simone’s tour jete+back tuck. Oh, well in that case I have no clue which skill. Can we discuss how Aly Raisman has access to like every professional dancer/choreographer at DWTS to choreograph a new floor routine and yet she said in an interview with Inside Gym that Sylvia Brestyan is going to be choreographing her routine… again. I second Alyssia’s question. Beam finals was an inquiry-fest. 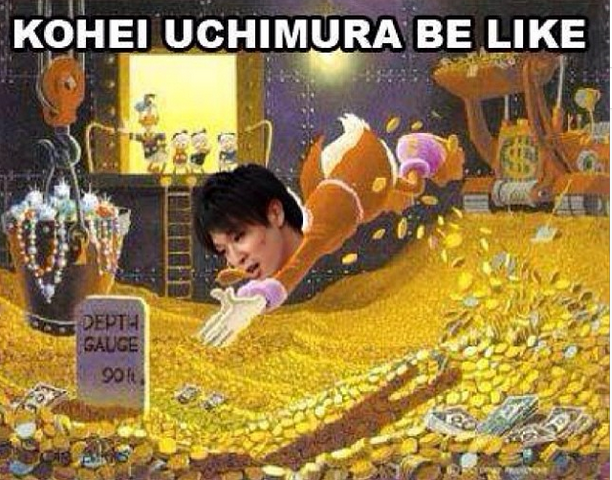 All the beam scores seemed rather low. It’s crazy that a 14.9 won the beam title. There was a time when any routine in the 14s was considered subpar. The code just keeps getting harsher. I don’t understand why the judges gave Kyla a sub-9 E score on beam in EF. To my eyes, that set was nearly perfect. I also wanted to thank FIG, USAG, and Universal Sports for bringing us such unprecedented, amazing coverage during Worlds! The feed was incredible! It was also nice not to have commentary for once. I don’t need a “narrative” to keep me interested; it’s enough just to watch the routines. I am not sure whether I’m going to watch the NBC coverage, since they won’t show as much anyway and the commentary can get old quick. Who am I kidding? I probably will watch it, but watching without commentary was a nice change. The arena announcer was fun to listen to and he seemed to be enjoying himself. I would also be curious to know where the adjustments came in for Simone and Kyla. I think it would be really valuable for the FIG to make this information more publicly available for those people who are interested so that we don’t have to speculate about what was changed! It’s definitely pronounced the way it’s spelled. I’ve heard the Chinese commentators say it that way. And yes, please say it correctly! I don’t speak Chinese and I can say it so I bet you can too. Or you can just say her nickname – It’s Nannan (emphasis on the second syllable). Oh – and I love the show! On it! Thank you for this link! Lauren Mitchell caused the raucous disagreement towards the end there. I love Mitchell, and I always that the routine in question had a lot of potential. She never really worked it though. You’ve got to be really badass to pull a routine like that off. Camelia Voinea comes to mind. I wonder why Kyla hasn’t competed the side ariel + layout stepout combo on beam yet. She’s trained it at the Ranch and it was beautiful. Might she put it in next season? It would make her gorgeous beam routine even more glorious. Also what did you think of Shang Chunsong’s scoring? It seemed like the e panel judges were being ridiculously hard on her. I think she got better scores at Chinese competitions, and the Chinese judges are notoriously harsher than international ones.